An RT Arabic crew has travelled to a gorge just 50 kilometers north of Islamic State’s Syrian stronghold, Raqqa, to examine a mass grave where scores of victims were executed. Islamic State (IS, formerly ISIS/ISIL) militants, which controlled the town of Suluk, before Kurdish YPG forces liberated it last year, threw the bodies of the victims off a ravine, a local Kurdish commander told RT. “Just after we arrived to liberate the area, we met with Kurds and Arabs, and asked them about Daesh's [Arabic acronym for Islamic State] crimes. 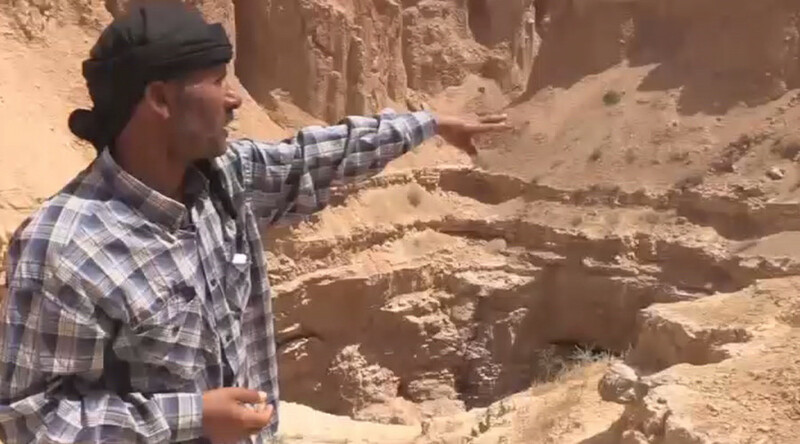 We discovered thousands of bodies of innocent victims in the ravine,” Mohamed Jirkis said. IS reportedly carried out mass executions. RT met a witness, who shared horrific details of the atrocities. “They would bring those still alive to the precipice, blindfold them and shoot above their heads to scare them. People would then start running and fall over the edge. They'd bring the bodies of others, covered in blankets, and throw them off,” local resident Abdel Halif Al-Jasim said. “The proof is these bones and the blood that’s there. Nobody knows how deep the gorge is,” he added. It is very hard to assess how many died in the ravine. It is not the first time that grim evidence IS crimes in the region has been discovered. 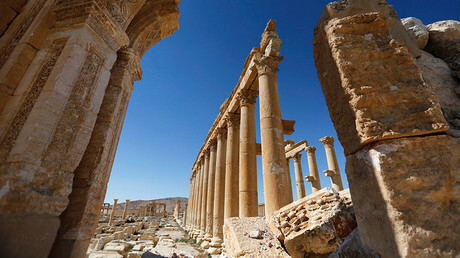 In April, the Syrian Army found a mass grave with dozens of corpses, women and children among them, in Palmyra. Examination of the bodies showed some of the victims had been beheaded before their deaths, and others brutally tortured. IS also gets rid of their own fighters in a brutal fashion: it has emerged that IS buried alive dozens of its own militants, after the jihadists had fled the battlefield in the face of the Iraqi government’s push in the Nineveh province.